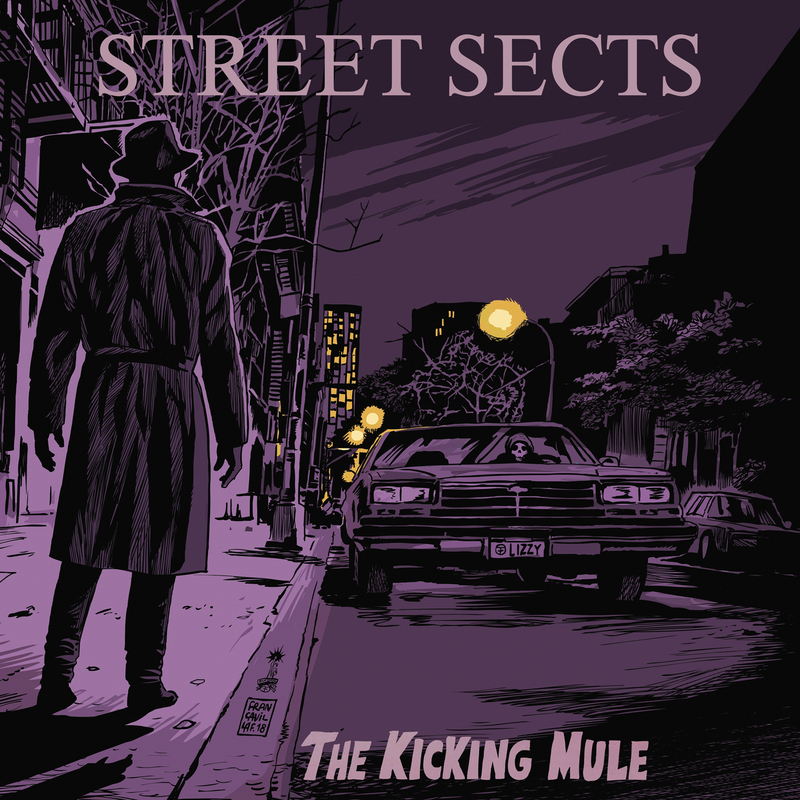 Street Sects proves to have many more dingy, pulpy backalley stories to tell. The Kicking Mule is focused and powerful with its statements, yet diverse enough to show the honing of their craft and artistic exploration that pays off hand over fist. The last time I paid earnest attention to Street Sects, I was indulging in the more reserved and eerie tones of their EP Rat Jacket. They never lost their grimy edge, though, and that’s more than apparent with The Kicking Mule. The Texas industrial punk band are back, probably grittier than ever, with a heavier take on their sound akin to their debut LP, End Position, but with more nuance, diversity, and better production choices. Simply put: this is their best effort yet. True, nothing here is as abrasive or heavy as their Gentrification EPs, but that’s a good thing. The band was young and overly reliant on noise and loudness which made it hard for anything meaningful to stick, though I admit they were cathartic. The Kicking Mule is like a pulpy thriller full of vignettes of cold-blooded murder, briefcases full of money, and an invisible war between ne’er-do-wells ‘just doing their jobs’. If you’ve ever wanted to periscope down into the underbelly of the human psyche and the society wrought from it (or perhaps it is the deeply flawed humans wrought from that society), look no further. Some words hit sharper than others, showing that Ashline isn’t just interested in conveying a story to you, but making a performative effort to instill emotion into the fiber of the music. He’s always been good at this, but this skill is perhaps improved twofold now with this mid-high approach with respect to harshness and tempo. As such, this album does feel, but it’s almost never a welcoming feeling; The Kicking Mule is marked with repelling cynicism, which matches the cold touch the instrumentation provides. The Kicking Mule is the weathered, old revolver that you keep in the pocket of a trenchcoat for protection. It’s the bottle of whiskey an off-duty cop drinks to drown his demons. The overall feeling is not one of safety or absolution, but one of apathy. It’s a machine that chews up anyone unfortunate enough to get caught by its steely mandibles, regurgitating them as shells of their former selves. More importantly, it’s a defiant, unsettling piece of music you need to hear. Street Sects hasn’t sounded more interesting in their short career, and this album shows they still want to get their hands dirty with the muck and ugliness of humankind. Previous PostThe Amblers Get Rough with Their Brand New Album "Ratty Old Mo'"